Welcome to Rock House Ice Cream and More! 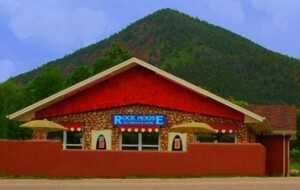 We are Rock House Ice Cream… Located in the heart of Palmer Lake we are a great place to stop, relax, have lunch and, of course, enjoy ice cream. Rock House Ice Cream is a small business dedicated to helping locals, and tourists alike, wind down and delight in the wonders of the Front Range. With a helpful, friendly and family oriented staff, we create and maintain a close and personal bond between customer and employee, making your experience as pleasurable as possible. While you are here, enjoy the small curio shop in the back where we display and sell several works of local artists, craftsmen and even writers. Feel free to explore our fun new website and please come and see us…. 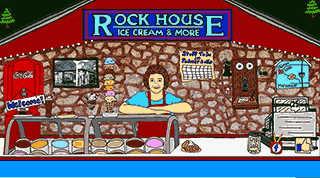 Because No Place Rocks More Than Rock House Ice Cream!